JAC unveiled the JAC iEV6S electric SUV during the April 2016 Beijing Auto Show. The production version is based on the JC Refine S2 Compact SUV and is expected late 2016. The Advanced Samsung battery includes Thermal Insulation Through Battery Charging technology allowing normal drive range if temperature below optimal 20 degrees Celsius. JAC discontinued the iEV6S SUV in 2016 after Samsung was not included as a battery supplier in the official list of suppliers that could receive subsidies. 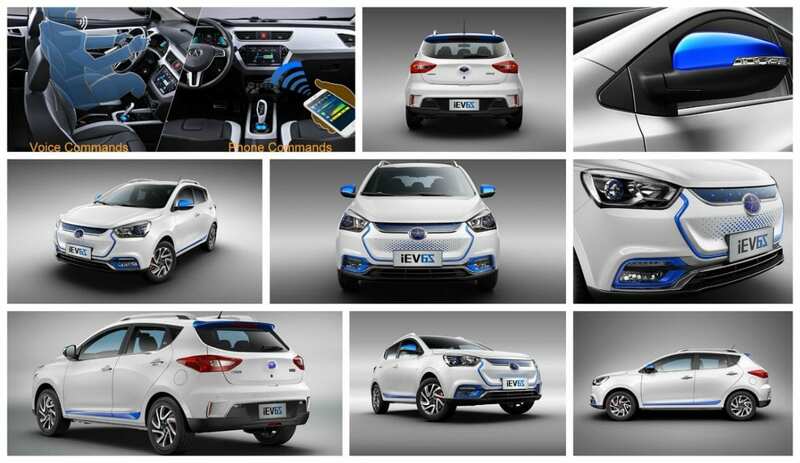 The JAC iEV7S used local battery supplier Huating (Hefei) Power Technology Co., Ltd. to qualify for the state subsidy. In December 2016 the JAC iEV6S won the “2016 China Annual Performance Model Pure Electric SUV Group Excellence Performance Award” at the China’s Production Car Performance Competition (CCPC). The competition is billed as the Olympic Games for Chinese automakers and participants covered 85% of the domestic mainstream brands. The JAC iEV6S SUV won 5 categories, namely for power, braking, handling stability, time trial, and long-distance economy. 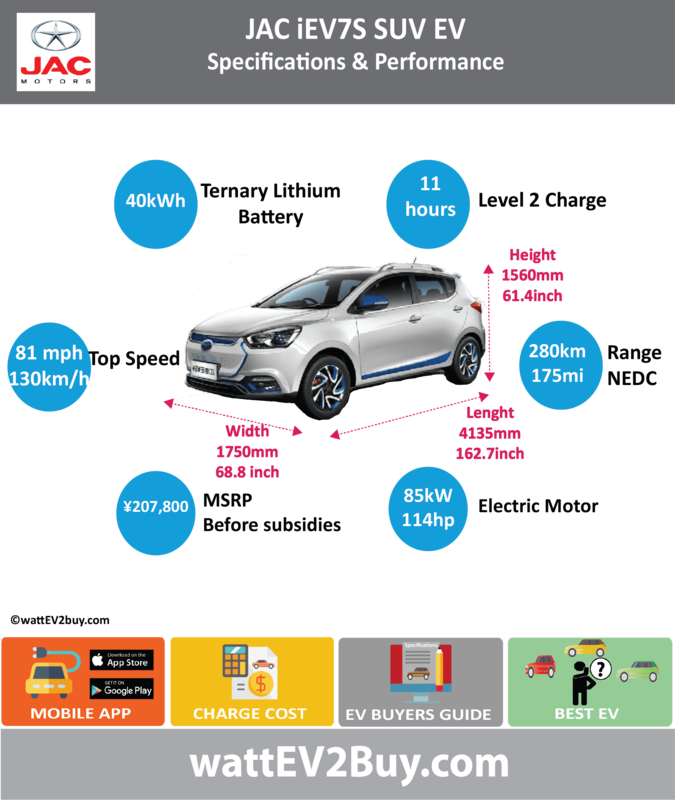 Go to our detailed breakdown of Chinese EV Sales to see how the JAC iEV6S & JAC iEV7S SUV fares to its competitors in the fast-growing Chinese EV market.